Economic reforms initiated since 1991 have put the Indian economy on a higher growth trajectory. Annual growth rate in the total Gross Domestic Product (GDP) has accelerated from below 6 per cent during the initial years of reforms to more than 8 per cent in recent years. The Planning Commission in its approach paper to the Eleventh Five-Year-plan has stated that 9 per cent growth rate in GDP would be feasible during the Eleventh Plan period. However, Agriculture, that accounted for more than 30 per cent of total GDP at the beginning of reforms, failed to maintain its pre-reform growth. On the contrary, it witnessed a sharp deceleration in growth after the mid-1990s. This happened despite the fact that agricultural productivity in most of the states was quite low as it were, and the potential for the growth of agriculture was high. The GDP of agriculture increased annually at more than 3 per cent during the 1980s. Since the Ninth Five-Year Plan (1996 to 2001-02), India has been targeting a growth rate of more than 4 per cent in agriculture, but the actual achievement has been much below the target. More than 50 per cent of the workforce of the country still depends upon agriculture for it’s livelihood. Slow growth in Agriculture and allied sectors can lead to acute stress in the economy because the population dependent upon this sector is still very large. A major cause behind the slow growth in agriculture is the consistent decrease in investments in the sector by the state governments. While public and private investments are increasing manifold in sectors such as infrastructure, similar investments are not forthcoming in Agriculture and allied sectors, leading to distress in the community of farmers, especially that of the small and marginal segment. Hence the need for incentivising states that increase their investments in the Agriculture and allied sectors has been felt. Introduce a new Additional Central Assistance scheme to incentivise States to draw up plans for their agriculture sector more comprehensively, taking agro-climatic conditions, natural resource issues and technology into account, and integrating livestock, poultry and fisheries more fully. This will involve a new scheme for Additional Central Assistance to State Plans, administered by the Union Ministry of Agriculture over and above its existing Centrally Sponsored schemes, to supplement the State-specific strategies including special schemes for beneficiaries of land reforms. The newly created National Rainfed Area Authority will on request assist States in planning for rainfed areas. The Department of Agriculture, in compliance of the above resolution and in consultation with the Planning Commission, has prepared the guidelines for the RKVY scheme, to be known as NADP (RKVY). The RKVY is a State Plan Scheme. 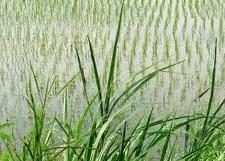 The eligibility for assistance under the scheme would depend upon the amount provided in State Plan Budgets for Agriculture and allied sectors.Since the RKVY is applicable to the entire State Plan for Agriculture and allied sectors, and seeks to encourage convergence with schemes like NREGS, SGSY and BRGF. The RKVY aims at achieving 4% annual growth in the agriculture sector during the XI Plan period, by ensuring a holistic development of Agriculture and allied sectors. To provide flexibility and autonomy to states in the process of planning and executing Agriculture and allied sector schemes. To ensure the preparation of agriculture plans for the districts and the states based on agro-climatic conditions, availability of technology and natural resources. To ensure that the local needs/crops/priorities are better reflected in the agricultural plans of the states. To achieve the goal of reducing the yield gaps in important crops, through focussed interventions. To maximize returns to the farmers in Agriculture and allied sectors. To bring about quantifiable changes in the production and productivity of various components of Agriculture and allied sectors by addressing them in a holistic manner. Encouraging non-farm activities like set up agri-clinics / agri-business centres.